Nothing frustrates me more as a baker than sitting exasperated on the kitchen floor, unable to fathom why the sugar creation slowly collapsing on the countertop has failed me. It annoys me when I do something wrong, then problem solve and learn what to do next time but it completely, cupboard-slamming, dramatically-falling-on-the-floor and all-out-screaming-into-a-tea-towel pisses me off when I have no idea where I messed up. Was it the egg whites? Were they too stiff? Was it the pastry? Did I overwork it? Was it the oven temperature? Yes, yes it was. You grilled that lemon meringue pie you bloody fool. (Yes, I did accidentally grill a lemon meringue pie three weeks ago. I’m still trying to get over it) However I appear to have found a third mishap category to file under – learn and adapt. It came to me on Saturday morning as I photographed these beautiful ruby cranberries ready to stir them into scone dough brought together with buttermilk and maple syrup for sweetness. However, as I poured the somewhat foamy syrup into the buttermilk, I took a quick glance at the bottle to realise I had just poured mould into the wet mix for my scones. Mould. Cue rinsing buttermilk, egg and maple syrup spores down the sink as I stood staring sadly at the very expensive bottle I had used roughly a quarter of. 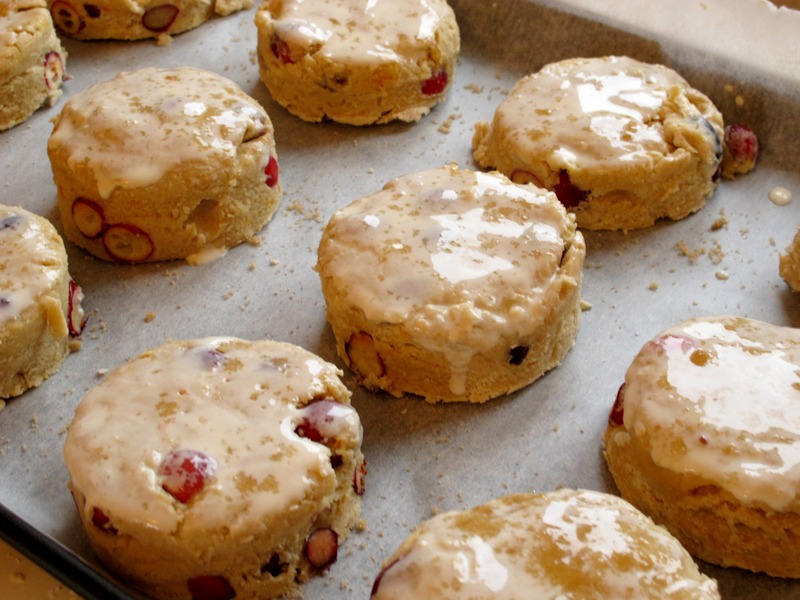 Things I learned from these scones number one – always keep maple syrup in the fridge. The second – my corner shop does not stock buttermilk, although it has inexplicably turned from a Nisa into a Co-op overnight. I decided sour cream would be my next best option and took it home to thin out with a little milk. Bingo – instant buttermilk substitute. 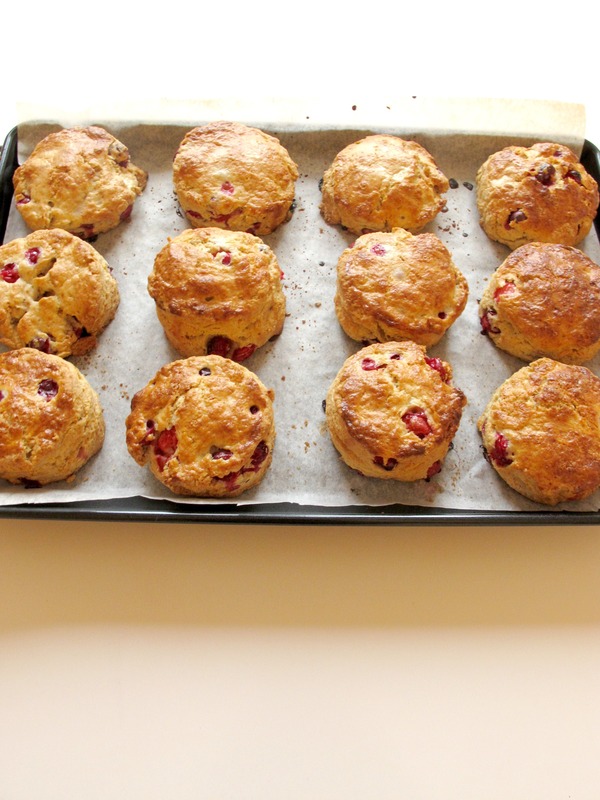 And there is the third baking lesson I learned from these scones – think outside the box. 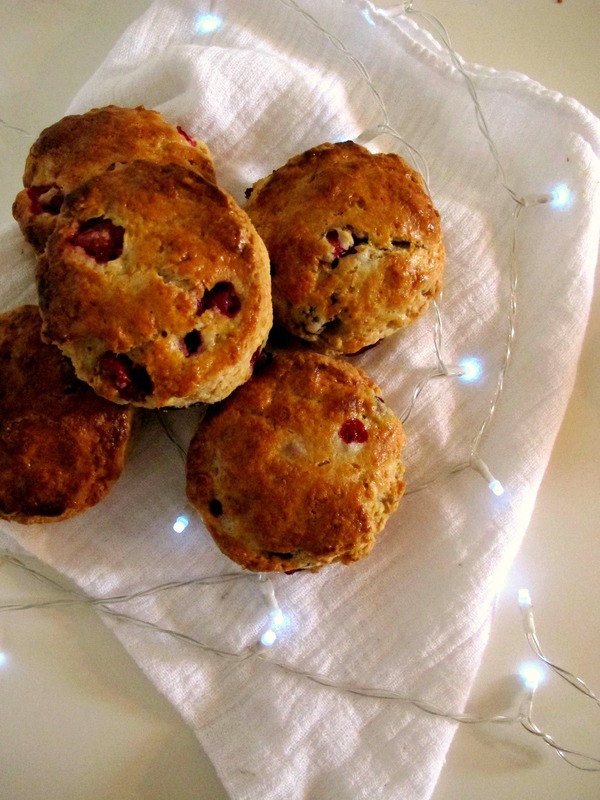 These sour cream scones are a great toe-dip into festive baking without fully immersing yourself into mincemeat/mulled fruits/brandy everything. 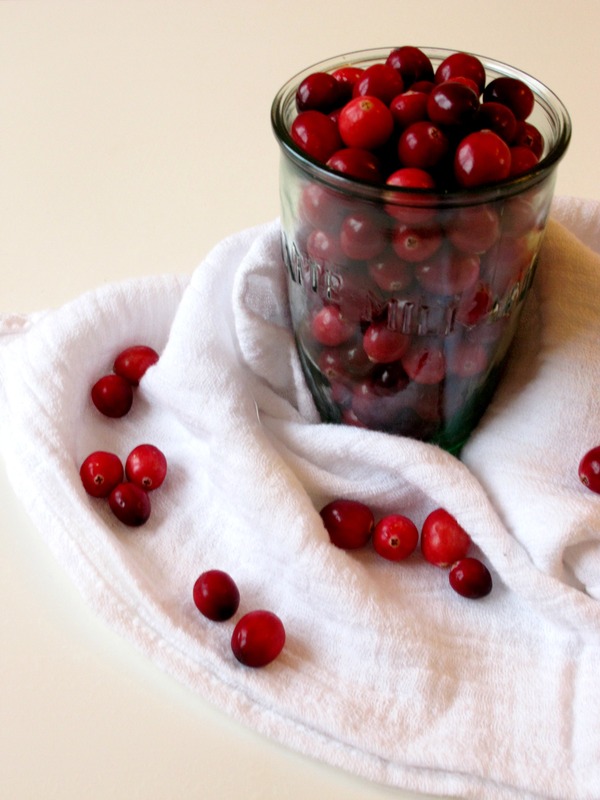 They are surprisingly light and each mouthful gives way to little sour-sweet bursts of cranberry. Clementine and sweet spices naturally lend themselves well to the overall flavour of the dough and buttermilk/maple syrup issues aside, took less than half an hour to prep, bake and cool. My only advice would be to double check you don’t accidentally grill them. I have not learned how to adapt to that particular baking problem yet. Of course, you could use buttermilk instead of sour cream if you have it to hand. Simply omit the sour cream and milk for 180ml buttermilk instead. Preheat the oven to 200oc/180oc fan and line a large baking sheet with baking parchment. In a large bowl, whisk together the flour, baking powder, bicarbonate of soda, salt and spices. Add the butter and rub into the dry mix, feeding through your fingertips until the mix resembles fine breadcrumbs. 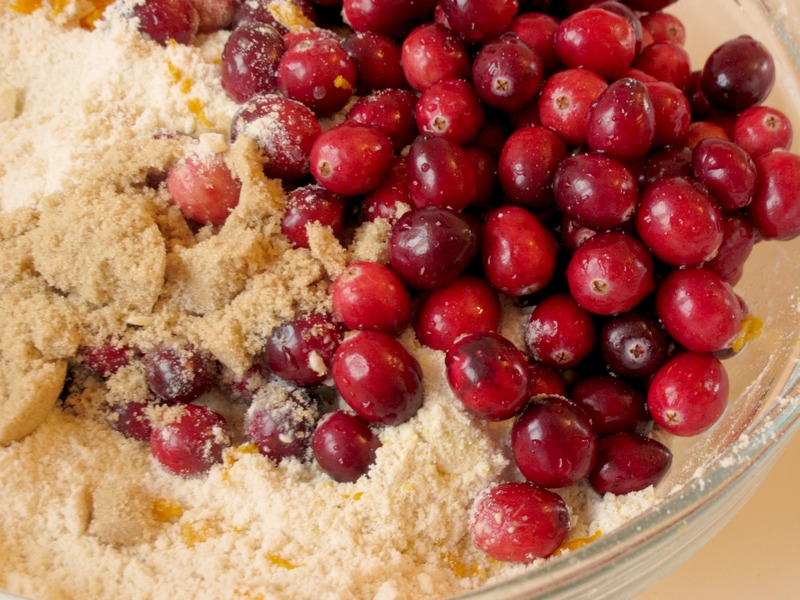 Stir through the sugar, cranberries and clementine zest and in a jug whisk together the sour cream, milk and egg. Add almost all of the sour cream mixture into the dry, reserving some to brush the top of the scones and mix well to form shaggy dough. Turn out onto a floured surface and gently knead until a smoothish dough has formed. Roll out to around 1 inch thickness and using a 2 inch round cutter, cut around 12 scones from the mix, re-rolling and cutting the scraps. Arrange on the prepared tray and brush with the remaining sour cream mix, sprinkling with a little brown sugar. Bake for around 15-18 minutes until golden then remove from the oven and cool on a wire rack. ugh. moldy maple syrup. i wonder if molasses should go in the fridge as well? Beautiful scones.